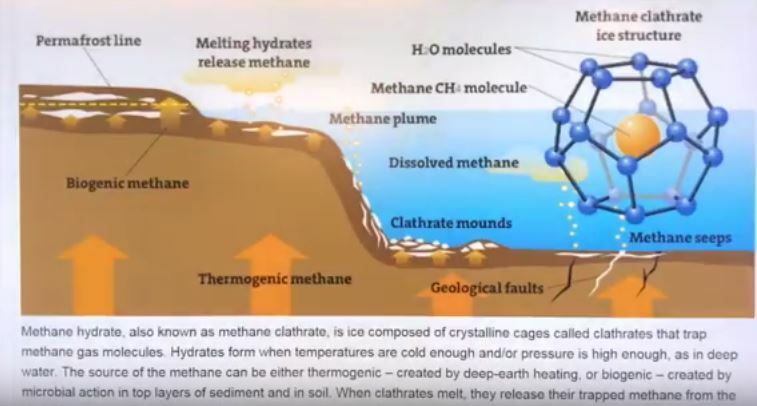 Vast amounts of methane exists within ocean floor sediments on the Eastern Siberian Arctic Shelf, in the form of methane hydrates & free methane gas. 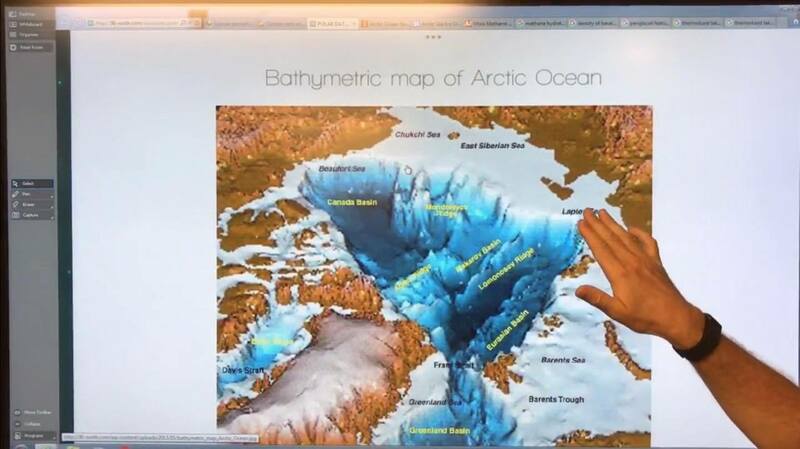 Up to recently, gas release to the shallow water column (50 meters deep) and atmosphere has been slow, with the subsea permafrost acting as a million corks on a million champagne bottles to contain the methane. 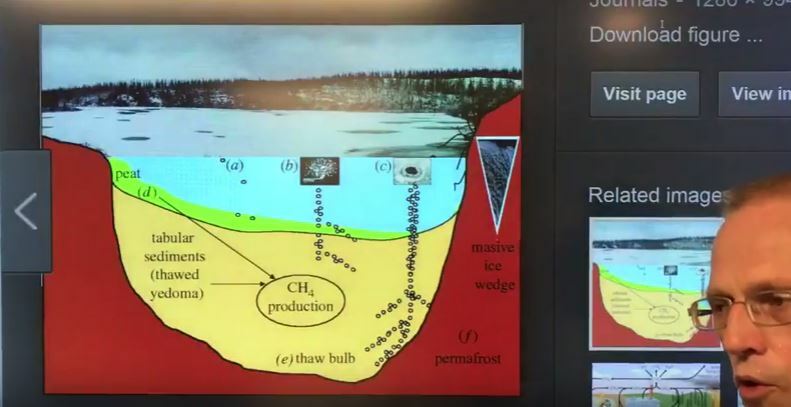 Now, rapid thawing of the permafrost has released 10% of the corks, allowing rapid ongoing increases in methane release. 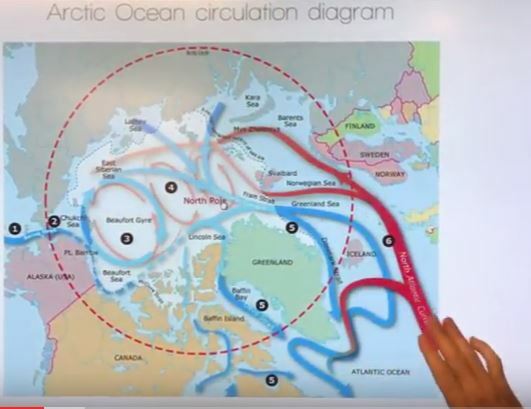 This entry was posted in Basic Science, Catastrophe, Climate, Climate Change, Geography, New, New Video, Oceanography, Rapid Climate Change, Science, Uncategorized, Videos and tagged Albedo, Arctic, Arctic Ocean, Cascading Feedbacks, Clathrates, Climate, Climate Change, Feedbacks, GHG, GHGs, Global Warming, Methane, Nick Breeze, Ocean, Sea Ice, Snow Cover, z Eastern Siberian Arctic Shelf, z Envisionation, z ESAS, z Hydrates, z Mechanisms of Subsea Permafrost Degradation, z Natalia Shakhova. Bookmark the permalink. More great tutorials from Paul Beckwith spelling out the methane risk with 3 presentations embedded in total. For Paul <<< This is important! Reblogged on GarryRogers.com. Thank you for your helpful YouTube elucidations of climate-change effects. 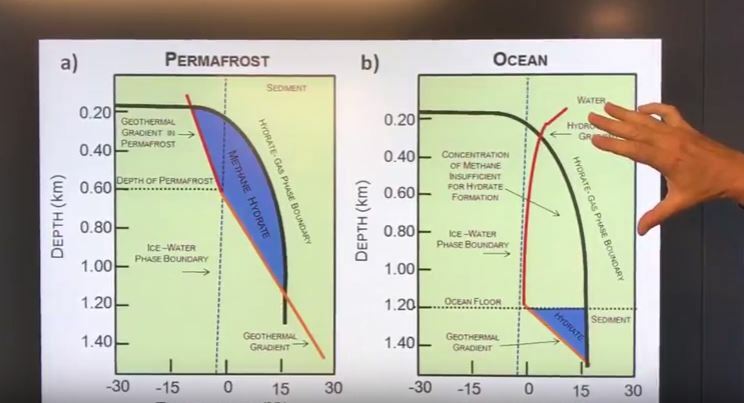 Easier to cut to the chase without all the rest: The ESAS permafrost is increasingly melting and releasing increasing amounts of methane the process is continuing! End of story in two lines! It, in my mind is simple application of best use of time .. given the absolute nature of entropy rise.